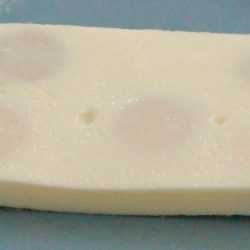 The easy way to make Instant Pot Meal Prep Eggs. No peeling required! 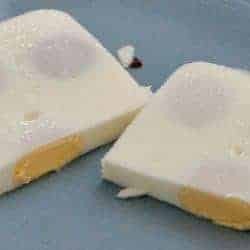 Fast way to make egg salad or just eat with butter, salt, and pepper for a low carb snack! I saw several posts for making an “egg loaf” on the IP forum, so this is definitely not my recipe, technique, or invention. But it’s a pretty handy way to be able to make a lot of eggs at a time, and not even have to worry about peeling them before they’re ready to be used up in a variety of ways. On the off chance that you don’t spend all your free time on the IP forum, I figured I’d share this here. Pictures will tell this story better than can I, so I’m going to just do this with the pictures below, and add captions as needed. 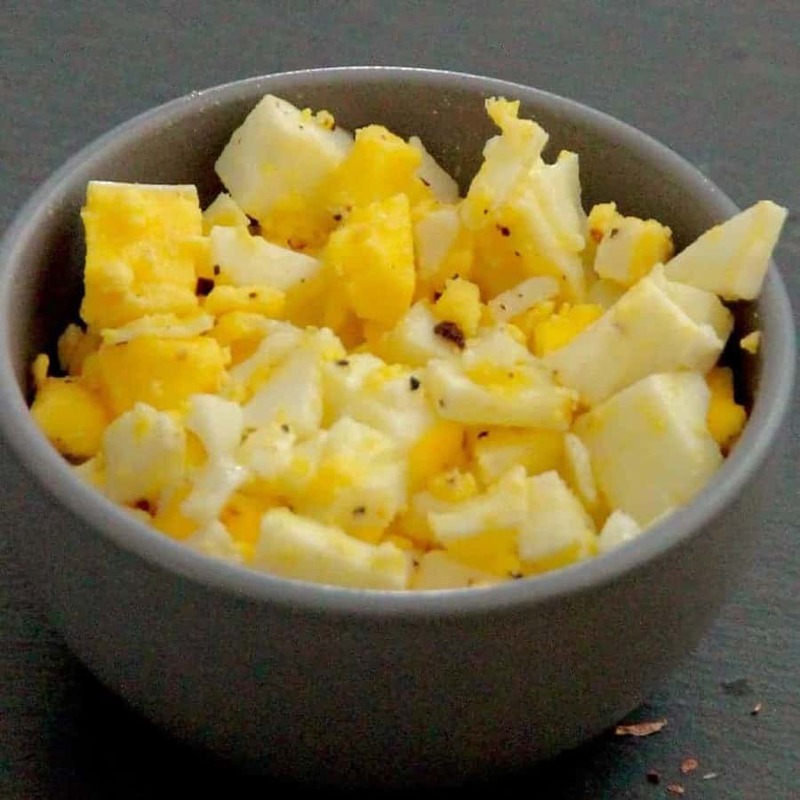 Quick way to make eggs for things like egg salad or hard-boiled eggs with salt and pepper. No peeling required! Crack 6 eggs into a heatsafe bowl, keeping the yolks intact. Cover the bowl with foil and place the bowl on the trivet. Set your Instant Pot on Manual, High Pressure for 4 minutes, and release pressure quickly. Pop out the really ugly loaf from your bowl. As you can see i used a a little rectangular pan. Once you dice the eggs, this is what it looks like. Now your eggs can be made into egg salad, or we just add butter, salt and pepper and eat them plain. Can this be frozen and used later without compromising the quality too much? They can be refrigerated easily. I’m not sure about freezing though. 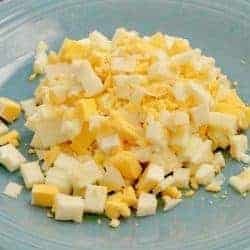 I make egg salad frequently, and have been using this technique since it was shared by a friend on Chowhound last fall. On another blog, someone suggested dicing the eggs with the aid of a cooling rack. Yeah, not so much. You’re left with a mess of rack to clean, and the dice leaves something to be desired. A knife works just fine. Wow! This is so cool to see. If you hadn’t mentioned it I would not have known about the discussions on chowhound. Thanks for letting me know. 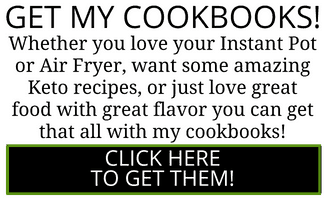 My second cookbook, Keto Instant Pot is also out and doing well. 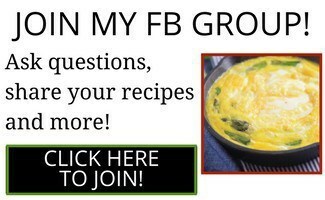 Can I get more recipes that are not Indian? I made butter chicken and tossed the whole thing — I am NOT a lover of spices and disliked even the smell intensely. As long as I can recall, I have used only 1/4 to 1/5 the spices called for in most recipes. I did that with the butter chicken recipe also. Still couldn’t tolerate either the taste, the odor, or the appearance. Sorry to all the people who love Indian cooking. For the record, I also don’t care for Mexican food. or for very many smells, either. Think perfume. Ugh! FYI, this is NOT a duplicate comment. I have never been on this site before now. There are lots of non indian recipes on the blog. 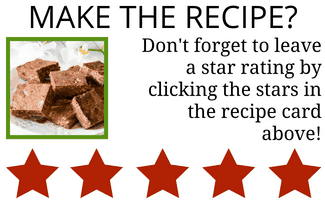 If you go to the recipe index you can sort by cuisine and select the types of cuisines you enjoy. I have a 6 quart, used a glass bowl, and they weren’t even half done, please advise. I used the small Fat Daddio’s loaf pan in my 3 qt, added a minute to the time (thinking about the egg depth) and it was perfect. My eggs were organic large, not the humongous regular eggs.